Sitting on the roof, at dusk. 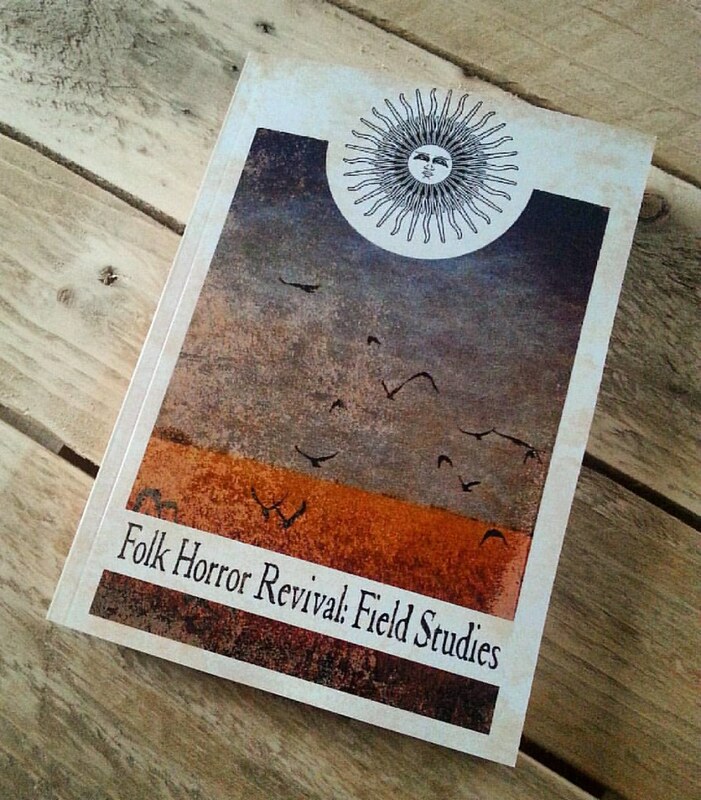 What is the difference (if there is one) between Folk horror and the Fortean? Please explain what you mean by 'folk horror'? Ok, I'd say the film The Wicker Man is folk horror, but is it also Fortean? Folk Horror Revival - love this group! I'm guessing that folk horror takes traditional folk tropes, druids, witchcraft, spirits and creatures, (elves, pixies, etc), and bases a horror film around it. WitchFinder General. A horror film based on Mathew Hopkins and his purge of wise women. Troll Hunter would be one. The Grudge for me would be another. Fortean Films would take a broader view of the strange and paranormal, and how people interact with the high or minor strangeness. The BFI has a useful webpage about the term Folk Horror. It mentions an issue of Sight & Sound from 2010, which I have stashed away somewhere, devoted to films of "Old Wyrd Britain." I would call it Fortean also, because of the tendency for religious and spiritual matters to creep into Forteana. Especially when it comes to mysterious religious rituals of the past. isn't fortean a philosophy and folk horror is a genre? Folk horror is a movie genre covering such brilliant films as Witchfinder General, The Wicker Man and Blood on Satan's Claw. Of those three, I would say only the third one contains genuine Fortean elements. I think it might well be. I just struggled to separate the two in my mind but that seems to be right on the money. which I enjoyed very much. However - the whole "scene" thing is not my cup of tea. And to answer the original question - what is folk horror? Well it seems to be whatever is considereed cool enough to be. Hence my antipathy towards it. Hmm - as 'Children of the Stones' had such an impact on me as a child, and Witchfinder General / Blood on Satans Claw and later on (thanks to Moviedrome) Wicker Man are among my all time favourite horror films, it seems I've always been a fan of folk horror - albeit without needing to title it. As for the difference between folk horror and the Fortean, I'd (personally) class films such as Night of the Demon or The Devil Rides Out as straddling both folk and Fortean territory. Now I've discovered the folk horror youtube channel my afternoon is truly screwed..! If you are talking about the original Wicker Man then I would suggest it is definitely Fortean in its imagery harking back to an ancient time of druids, celts and pagans. Where as the hollywood remake with Nick Cage was utter rubbish made even more so by the lack of Britt Ekland in it. IMO Fortean implies unexplained and equivocal. Most horror films don't leave things unexplained. Magic is real, Vampires are real. Things that go bump in the night really are poltergeists. People seem to like a tidy ending so it's rare to find a film that allows ambiguity. I'd propose The Mothman Prophecies as being a truly Fortean film. The nature of Mothman is left unexplained and the Richard Gere character is left frustrated in his search for 'proof' that it even exists. And to answer the original question - what is folk horror? Well it seems to be whatever is considereed cool enough to be. Hence my antipathy towards it. I don't. And I'm well aware my judgement speaks more about me than anyone else. I'm completely unjustified and not-so-ancient. "- as 'Children of the Stones' had such an impact on me as a child, and Witchfinder General / Blood on Satans Claw and later on (thanks to Moviedrome) Wicker Man are among my all time favourite horror films, it seems I've always been a fan of folk horror - albeit without needing to title it." Have you seen Ben Wheatley's 2011 movie Kill List? It felt like a throw-back to the classic folk horror genre, with some blatant hat-tips to The Wicker Man. Definitely worth a look. Also honourable mention to the movie Wake Wood - another that demonstrates the folk horror genre can exist in the 21st century. Ben Wheatley's 2011 movie Kill List? Beyond incredible. Literally changed my life. Stunning piece of art. Ah yes! Witchfinder General meets Shrooms. Coincidentally I watched another Wheatley film last night - High Rise. Not folk horror (adaptation of classic Ballard dystopian novel) but hugely entertaining. It probably wasn't folk horror on its release in 1983 but the passage of time has allowed it to move into a folk horrorish sphere of influence. Oh, definitely the original. I wouldn't touch the re-make with a barge pole! In that case rural ... no, English .... no, 60s/70s ... no probably not folk horror then.